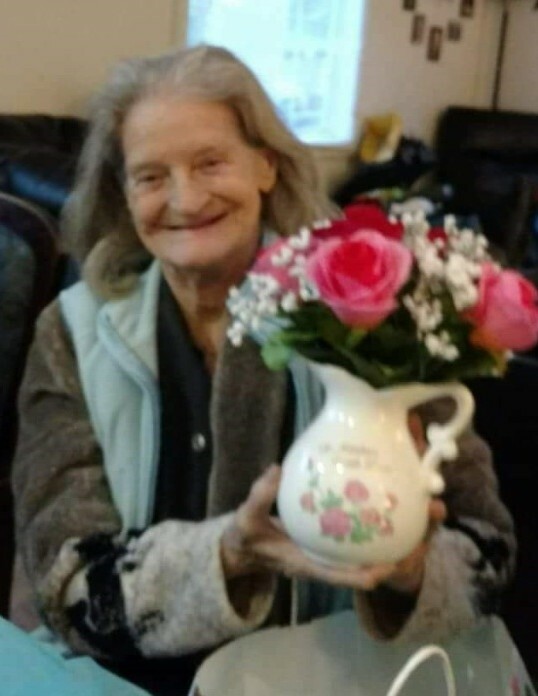 Myrna Gillispie Knifley, 73, of Louisville, IL, passed away Thursday, November 15, 2018 at her residence. She was born in Mt. Pulaski, IL, on April 5, 1945, to James Elsworth Gillispie and Sophia Keller Gillispie. She loved flowers, gardening and enjoyed attending fruit markets over the years. Her family was the most cherished part of her life. Myrna is survived by her special friend, Harold Homann of Louisville, IL, her daughter, Tina Scoles (Jeff) of Flora, IL, her sons, Albert Clarke of Dieterich, IL, Richard Clarke of Robinson, IL, Bobby (Laurie) Hewkin of Bible Grove, IL, Robby (Darby) Hewkin of Stewardson, IL, Brian (Lisa) Hewkin of Iola, IL, Doug (Carol) Hewkin of Dieterich, IL, Justin Hewkin of Louisville, IL, several step children, twenty-four grandchildren, twenty-eight great-grandchildren and many step grandchildren, step great grandchildren and step great great grandchildren and by her brother James Jr. (Kathleen) Gillispie of Carlinville, IL. She was preceded in death by her parents, soul mate, Vernon Sapp, two daughters, Myra Mitchell, Penny Hewkin, three brothers and five sisters. Services for Myrna at 12:00 p.m., Monday, November 19, 2018 at Bethsaida Church in Dieterich, IL. Inurnment will be at a later date. Visitation will be from 10:00 a.m. to 12:00 p.m. on Monday, November 19, 2018 at Bethsaida Church. Expressions of sympathy should take the form of donations to the family to offset funeral expenses. Online condolences may be expressed at www.kohnfuneralhome.com.